Begun training 1979 in local judo club. Studied judo and karate from local teachers. Started training weapon martial arts, in 1980', because ninjutsu was popular. Received black belt in 1991 in budo (system of mixed judo and karate with weapons added - in local club). 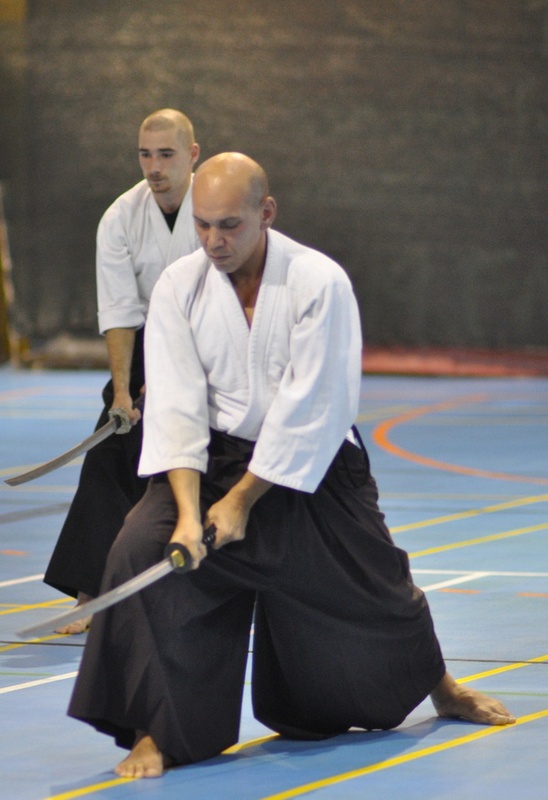 Studied aikido, judo, karate and weapon arts in Belgrade clubs since 1989 till 2005. Begun teaching in his Budo club founded in 1991. Founded with several yudansha the Serbian Budo Council in 1994. Promoted in Jujutsu, Kenjutsu, Karate and Judo by local sensei in Serbia in mid-1990's. In 1999 recognized as Jujutsu Yondan from American Judo & Jujutsu Federation and American Ju-Jitsu Association. Same year registered as Yondan Jujutsu in Serbian Ju-Jutsu Federation. Former Technical Director in Serbian Ju-Jutsu Federation, which is member of Ju-Jitsu International Federation (JJIF). One of founders of Kokusai Gendai Budo Renmei (HQ in USA). Founder and former president of Kenjutsu International Association of Instructors (KIAI), which is now with HQ in USA. Founder and former chief instructor of Serbian Sport Chanbara Association, registered in ISCA, Japan. One of founders of European Budo Council, organization which held several European Budo Games in Croatia and Germany. World Martial Arts Games, Germany 2007, Gold - iaido kata. World Martial Arts Games, Germany 2007, Silver - Sport jujutsu fights. European Budo Games, Germany 2008, Bronze -Sport jujutsu fights. Placed amnog best 8 on two World Sport Championships in Japan, 2008. and 2009. Owner of informal private SHINBUKAN school in Serbia, where he teaches AIKI-JUJUTSU and KENJUTSU (individual and small group classes). Founder and CEO of International Shinbudo Association. Kyoshi 8. DAN Kobudo (Aiki Jujutsu and kenjutsu) from Nippon Seibukan Hanshi Phil Scudieri (2016), 7th DAN Jujutsu (shihan) in Martial Arts International Federation (USA HQ, Washington). Kenjutsu Renshi 5th DAN under Nippon Seibukan Japan Academy (2010) and Zen Nihon Sogo Budo Renmei (JAPAN HQ, Kyoto). Shibucho for Sekiguchi Ryu Batto Jutsu (Yamada-Ha, Japan). Yudansha in judo, karate, aikido/aikijujutsu and chanbara. East European representatiove (Machi Bugyo) for Edo Machi-kata Taiho Jutsu. Founder of NIPPON KEMPO SERBIA team, which is participating on international and world championships. International Sport Jujutsu referee, won special award for "Referee of the year" in USA 2008. International Sport Chanbara and Spot Kenjutsu referee. 7th Dan Jujutsu - by George Anderson hanshi, 2009, on behalf of Martial Arts Intrenational Federation (MAIF). Mr. Anderson is also hanshi under late Masafumi Suzuki, founder of Nipon Seibukan Academy in Kyoto, Japan. Anderson sensei was also one of founders of JJIF, Ju-Jitsu International Federation. MAIF president is Dr. Paul Hoglund, former president of JJIF. This 7th DAN cerificate is also signed by Bruce R. Bethers sensei, president of USA and Pan-American Ju-Jitsu Union, memers of JJIF. 1st DAN Yoshinkan Aikido - by Kasey Keckeisen sensei, 2010, on behalf of USA Yoshinkan organization.